Interested in joining us for Alpha? Please provide your information below and the Alpha team will reserve a spot for you in the next available Alpha course. We now have childcare available, so please indicate if you have a need for childcare below. The Holy Spirit is on the move at St. Gerald! We have completed our first three sessions of Alpha. The Alpha culture has the potential to transform our parish! 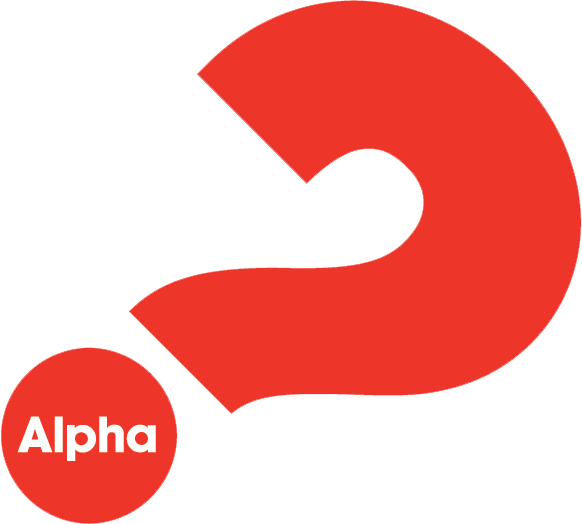 We want everyone at St. Gerald to experience Alpha... our current session started January 27. Return to this page and be on the lookout for your opportunity to say yes to the invitation, "Come and see!". Alpha sessions are currently Sunday evenings from 6:00pm to 8:00pm for 11 weeks and include dinner. The Alpha course also includes a Friday evening to Saturday afternoon retreat. More information will be presented at Alpha regarding the weekend and weekly schedule for our Alpha sessions. Participants should watch your inbox for emails from StGeraldAlpha@gmail.com and should feel free to send an email to that address if you have any questions. One of the integral parts of each Alpha session is a shared meal of all the guests and Alpha team members. Food donations by our Alpha alumni and parishioners help to defray the costs of each meal for the 12 weeks. Weekly emails sent through Sign-up Genius allow you to see what food items are needed for that week. Food donations can be brought to the Fellowship Hall when you come to church that weekend, or dropped off on Sunday afternoon by 4:15 PM. If you are interested in donating food or have any questions, please contact Jean Thompson at stgeraldalpha@gmail.com or 402-331-7524. Please prayerfully consider answering the call of discipleship for the upcoming Alpha session. Why am I here? Is there more to life than this? Alpha is an opportunity to explore the meaning of life and the basic message of Jesus Christ. It's a place to ask questions and share your thoughts. Alpha is for everyone! Have faith but hunger for more? This may be the experience you are looking for! Did you know that over 29 million people in 169 countries have experienced Alpha? Alpha gatherings create an environment and opportunity to explore the meaning of life and to discover the personal relationship Jesus desires to have with you. Alpha is for everyone... come and see! Alpha is a series of sessions exploring the basics of the Christian faith. Typically run over eleven weeks, each session looks at a different question that people can have about faith and is designed to create conversation. It's just an open, informal and honest space to explore and discuss life's big questions together. What does Alpha look like? There isn't really an average Alpha. Alpha is run in local communities all around the world, and everyone's welcome. It runs in cafes, churches, bars, prisons, parks, universities, schools, homes-you name it. No two Alphas look the same, but generally they have three key things in common: food, a talk and good conversation. Food Whether it's a group of friends gathered around a kitchen table, or a quick catch-up over coffee and cake, food has a way of bringing people together. It's no different at Alpha. Most sessions start with food, because it's a great way to build community and get to know each other. Talk The talks are designed to engage guests and inspire conversation. Usually around thirty minutes long, they can be given as a live talk or played as a video, all for free. They explore the big issues around faith and unpack the basics of Christianity, addressing questions such as Who is Jesus? and How can I have faith? Conversation Probably the most important part of any Alpha: the chance to share thoughts and ideas on the topic, and simply discuss it in a small group. There's no obligation to say anything and there's nothing you can't say (seriously). It's an opportunity to hear from others and contribute your own perspective in an honest, friendly and open environment.